The construction industry has long been subjected to some odd judgments and myths, many of them unfavorable, by parties who aren’t actually familiar with the realities of this line of work. These tall tales could cause some talented candidates to dismiss the idea of pursuing a construction career. Here are a few of the myths surrounding construction work—and the truths that debunk them. Construction jobs require some serious skills and abilities, most of which do not come naturally—they have to be learned. The fundamentals of construction work include how to handle a wide range of tools and equipment, basic mathematics, how to read blueprints and other industrial documents, and specific trades such as welding and carpentry. It is also critical for construction trainees to learn essential safety practices, both for their own sake and for the sake of their co-workers. The easiest way for people to gain these skills and abilities is to enroll in an accredited trade school or technical program that offers detailed classroom education leading to certification. On-the-job apprenticeships are a natural follow-up to this method of preparation for a career in construction. The notion of construction workers as uneducated laborers is sometimes accompanied by the belief that construction work is merely a “last resort” job for workers who can’t do anything else for a living. But most construction workers choose this line of work deliberately for its very real benefits—such as steady employment, paid holidays, opportunities for overtime, and the less tangible but equally gratifying satisfaction of creating something lasting. It can also prove an excellent career choice for those who prefer being physically active to sitting in an office day in and day out. Last but not least, this career offers the chance to work on all kinds of structures virtually anywhere in the world. 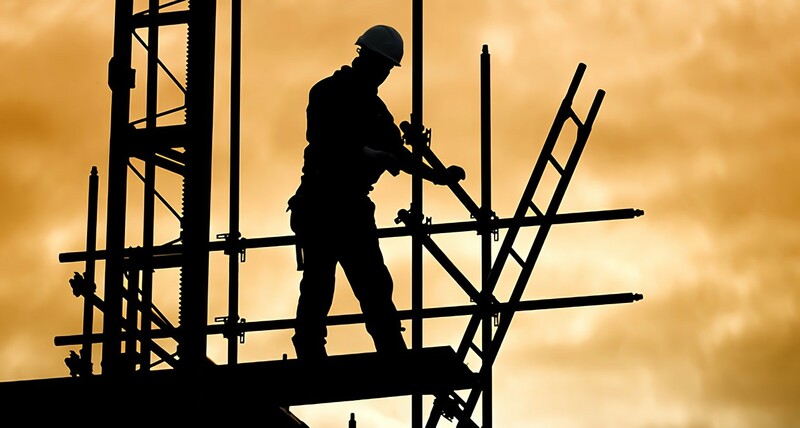 All of these factors can make construction a very attractive choice indeed, writes Whirlwind. Some people hesitate to enter into a career in construction because they have concerns about the safety of the work. Some dangers may exist (especially if a worker lacks the necessary training for the assigned job), but that’s why construction companies take safety concerns very seriously. Organizations such as the Occupational Heath and Safety Administration (OSHA) have imposed compliance standards and developed detailed checklists to help secure a safer environment for employees, as well as greater efficiency and production for employers. At the same time, however, it shouldn’t be assumed that safety on the job site can be achieved merely through rules, audits, or OSHA compliance. IRMI warns that safety can only occur as an outcome of proper work practices. It is therefore up to both management and individual workers to follow all established best practices for maintaining a safe construction site. The image of an entry-level construction worker having no way to advance through the ranks is yet another notion with little basis in reality. While some workers may not choose to take the initiative to advance for whatever reason, that doesn’t mean that there any barriers set down by the industry. On the contrary, the Bureau of Labor Statistics notes 1 that construction workers can achieve management positions after years of diligent work in the field. Self-employment is another potential form of advancement for construction workers who like the idea of owning their own contracting business.